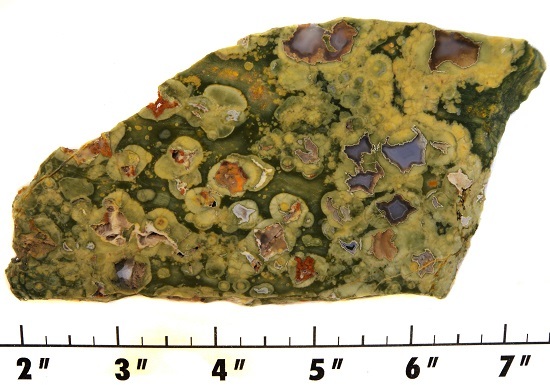 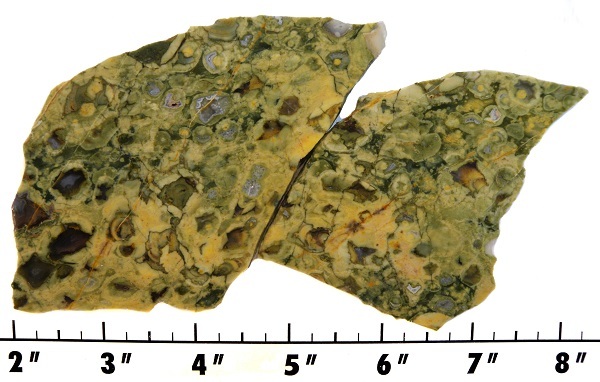 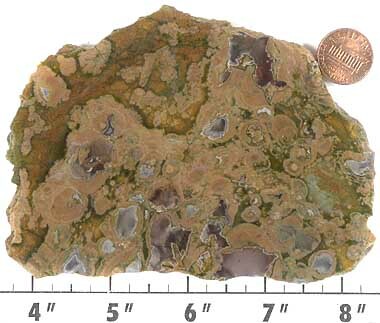 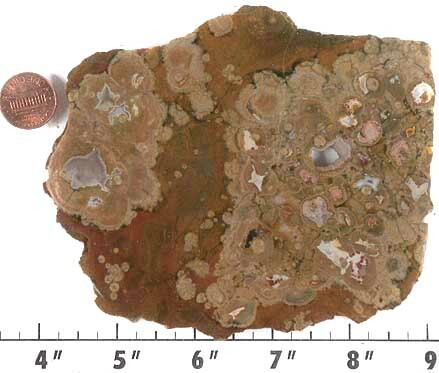 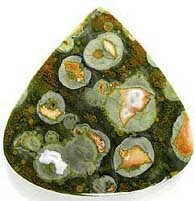 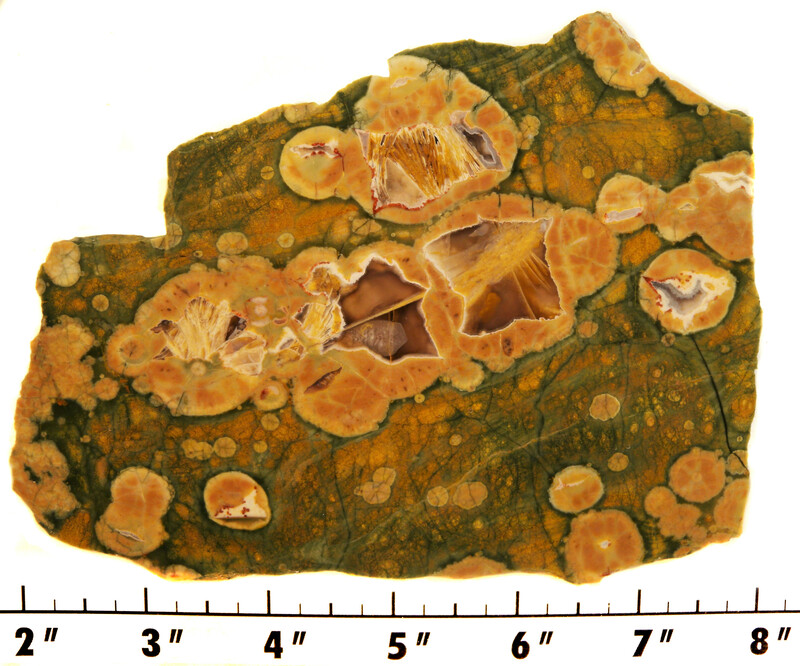 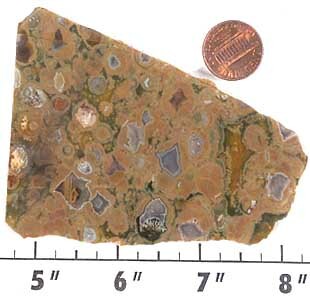 Jasper (rhyolite) is of volcanic origin. 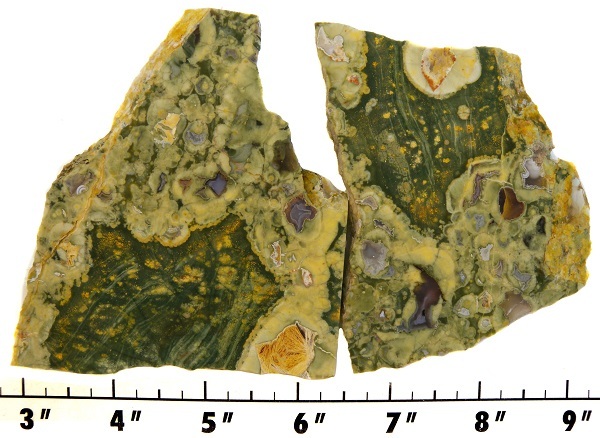 It cuts and polishes similar to agate or jasper. 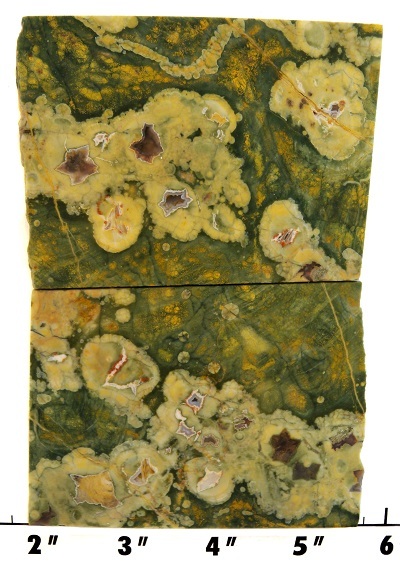 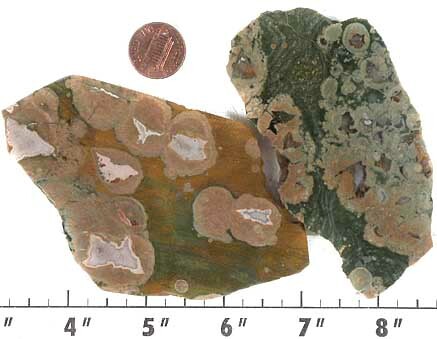 Rhyolite polishes well with tin or cerium oxide and diamond. 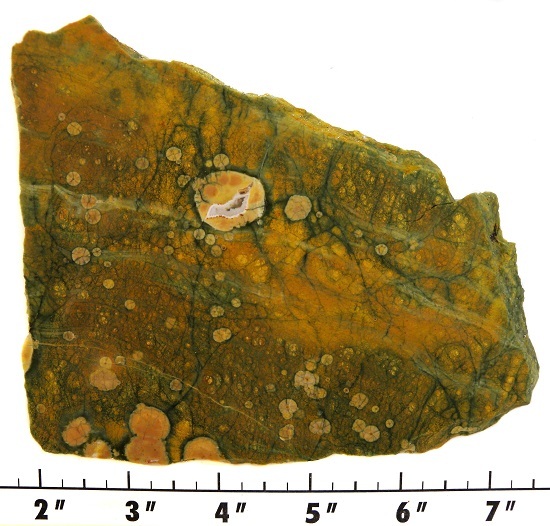 NOTE: Many of these slabs have pits or vugs.